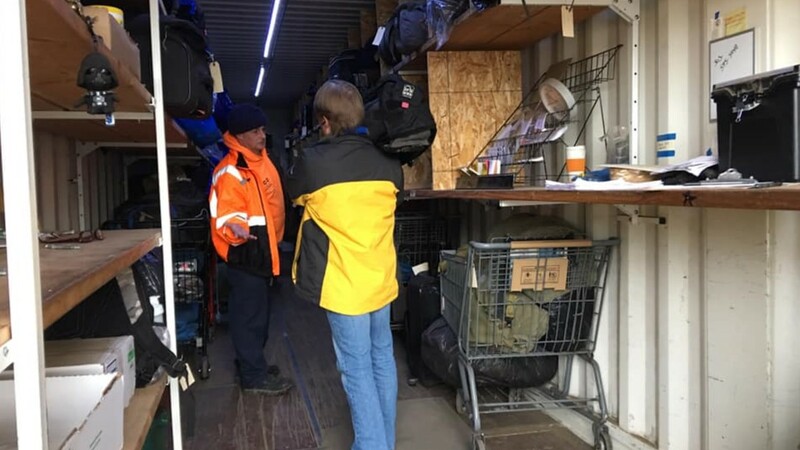 About 40-60 people per day lock their things away in a storage unit under the Steel Bridge and go to work, treatment or just to get warm. What started in 2016 as a low-maintenance, six-month pilot project spearheaded by the city has now become a major asset for people living on Portland’s streets and in its shelters. 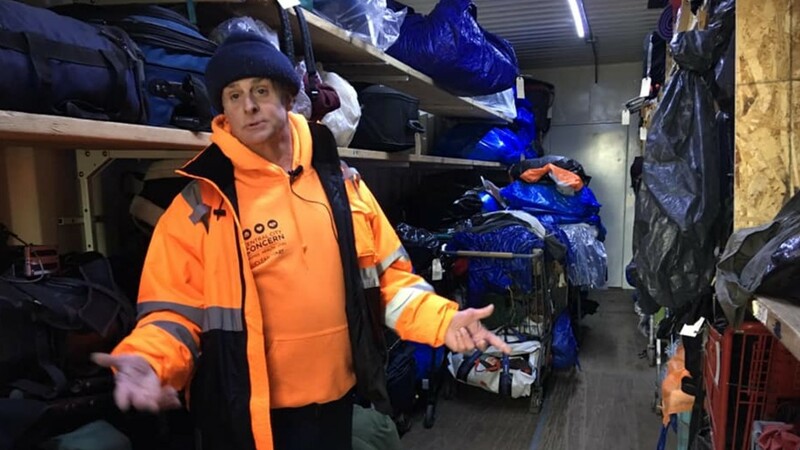 Tuggle is one of two full-time employees hired to run the city’s free day storage program, housed in a large, green metal storage container. 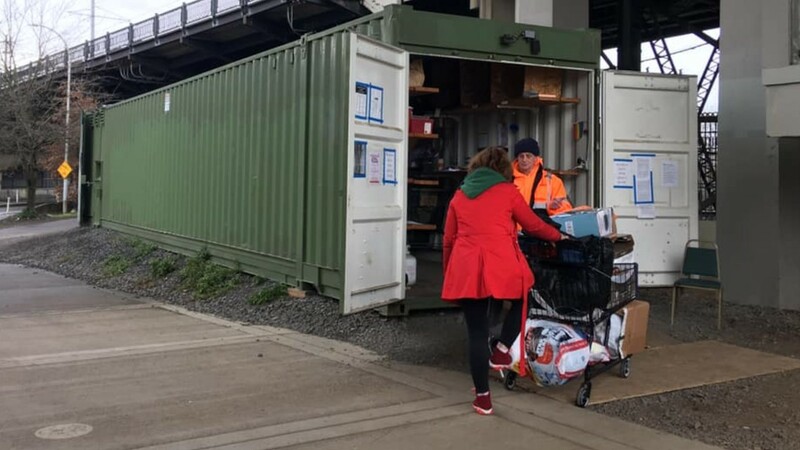 It sits under the west end of Portland’s Steel Bridge and for 11 hours a day, seven days a week, people can come and sign over their things to be stored inside the waterproof box. Most of them leave their things to go to work, treatment or just into a building to get warm, he said. One woman, Jessica, said without the storage program, she’d have to carry everything she owned with her 24/7. Sophia June, a spokeswoman for Mayor Ted Wheeler’s office, called the program “extremely effective”, adding 40-60 people use it every day. The city has a second storage unit, stationed at the Hazelnut Grove homeless camp in North Portland. She said the city spent close to $50,000 in 2016 to buy and renovate them. In the 2018-2017 fiscal year, officials set aside $48,287 to fund the pilot project for six months. The following year, officials spent $83,839 to have it open five days a week, for a couple hours a day. During this 2018-2019 fiscal year, the city spent $120,000 to keep it open from 7 a.m. to 6 p.m. The funding includes the salaries for Tuggle and his colleague, both of whom make $13.75 an hour plus benefits. It also covers a contract with Portland non-profit Central City Concern. Jay McIntyre works as a business director for CCC. He admits, back in 2016, people weren’t sure the program would work. Part of that involved hiring formerly homeless people to staff the program. Tuggle himself was homeless in Portland for 38 years. For much of that time, he was addicted to meth. Now he’s housed, clean and hopeful the city will place more units around town. “I won’t turn anybody away,” he said.